kitten 7 x 8.3 in. This kitten was a portrait of a friend's pet. 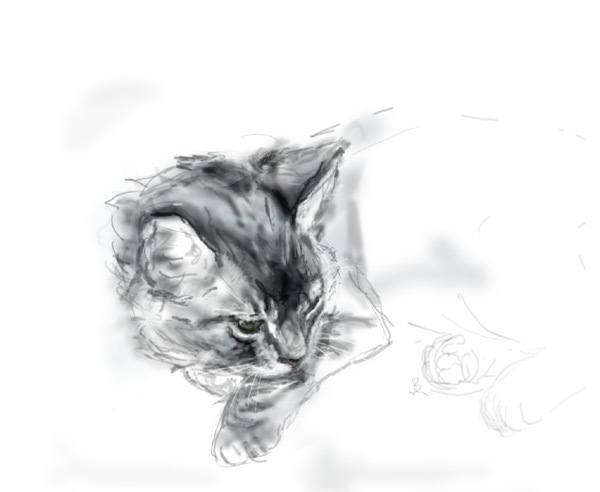 Cats are about the hardest animal to render, not sure why, other than they have a very human like face. My friend was pleased with the end result, so I was, too.